bright blue skies and falling leaves. of my oldest daughter's soccer game on Sunday. Does it get much better than this for kids on a November afternoon? I'm jealous of all of those leaves!! Looks like o much fun! 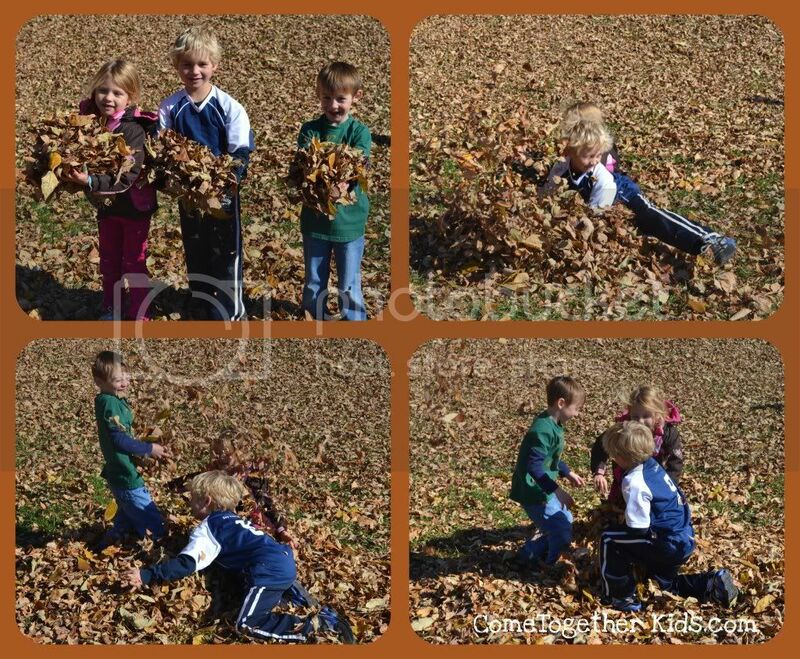 I'm just loving the way kids are playing with leaves..